What's Cooler Than a Regular Spaceship? A Bat-Space Shuttle. If I’m being honest, I don’t even remember this thing from The LEGO Batman Movie. I probably need to watch it again. 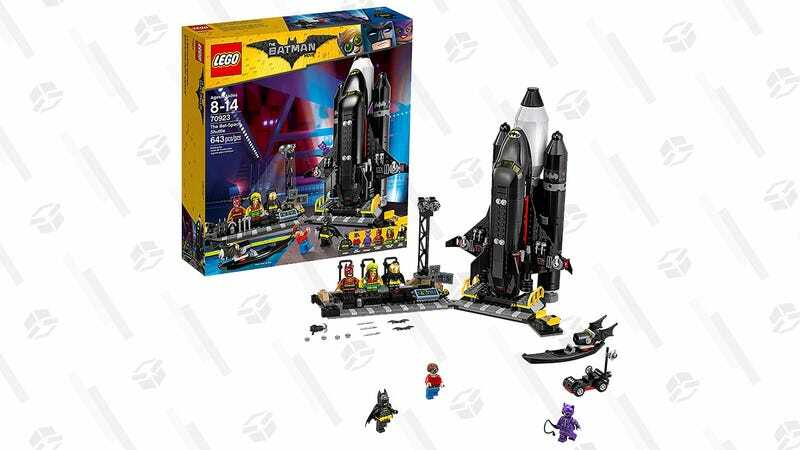 But it doesn’t even matter, because you can tell just by looking that The LEGO Batman Movie Bat-Space Shuttle is pretty bat-tastic. I mean, it comes with reggae, space, and firestarter Batsuit figures! And a Bat-kayak! And a Bat-moon buggy! Once $80, it’s dropped to just $53 at Walmart at Amazon. No one’s saying you have to buy it, but... why wouldn’t you?